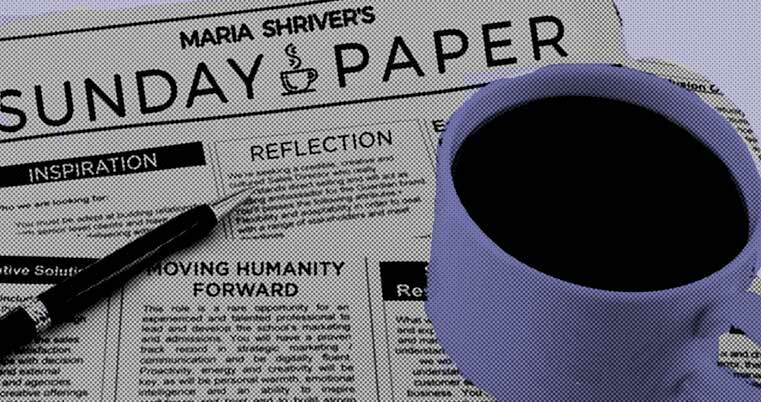 This entry was posted in Inspiration & Encouragement and tagged Encouragement, Friends, Inspiration, Maria Shriver, The Sunday Paper. Bookmark the permalink. Wow! This is a great find! Now I will look forward to the Sunday Paper. I’ll look this up. Glad to thank God in the morning for just waking up and getting a new day to challenge me. Hope your healing is going well. Thank you for sharing this. I will definitely be reading it. Bless you! Thank you Janet. I needed this today.